We are pleased to announce that Corey Langley has been selected as Town Theatre’s Assistant Technical Director. Corey has been a part of the Town family for many years both on stage and off. He recently played Cogsworth in Disney’s Beauty and the Beast and just finished the role of Krupke in Town’s season opener of West Side Story. 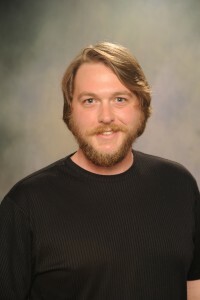 On the technical side, Corey has served as a freelance scenic designer in the Columbia area for the past eleven years. His portfolio includes work at Airport High School, BC High School, Congaree Baptist Church, and the former Stage Five Theatre. We are glad to have Corey serve in this capacity. We also are pleased to announce that Megan Douthitt, another long-time Town Theatre participant, has now joined our staff in a full-time capacity. Megan has been on the Town stage in Mary Poppins, Miracle on 34th Street and Willy Wonka. She has worked at Town since 2016 in the box office and with our youth theatre program. 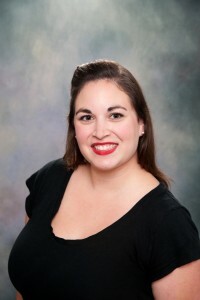 She continues to wear several hats including serving as Assistant Director of Youth Theatre, serving as the lead arts faculty for our school theatre initiative and taking on additional administrative duties. Megan works alongside Scott Vaughan, whom we welcomed in late summer as our Youth Theatre Director, and Jeremy Reasoner, who continues in his role as Musical Director for Youth Theatre and Town’s private voice instructor. Editor’s Note: In our current production of West Side Story – we have three “veterans” of Town’s 1998 production. David Swicegood (Director) and Tom Baldwin (Doc) penned their thoughts earlier in the series. TAKE THREE is courtesy of Kerri Roberts who is playing the role of Maria. In the summer of 1998 I was 21 years old, preparing to start my senior year of college, and engaged to be married. I was privileged to study voice at Columbia College with the incomparable Lanny Palmer, who encouraged me to go and audition for West Side Story at Town Theatre. I was not a Columbia native and had not been involved in any theatre outside of Columbia College where I was active in opera, and Columbia Classical Ballet where I danced for four years during college. I had absolutely no idea about the community theatre scene in Columbia. I remember being so nervous about auditioning, but so excited about the potential of doing something new. To be honest, I don’t remember much about the audition process except the director, David Swicegood saying to me, “I’m SO glad you could sing!” I immediately felt welcomed and right at home in that little old theatre! It’s been that way ever since. I genuinely have no negative memories associated with the 1998 production. It was, in fact, truly ground-breaking in my life. I had been a singer. I had been a ballerina. I had been in operatic productions. For me, West Side Story was the first time that I experienced the thrill of doing all the things I loved – singing, dancing and acting – all in one medium. I came alive with it! That was when I first discovered my passion for musical theatre. David was such an easy, kind, inspiring director, who truly loved what he was doing, and the environment of the show was always positive in my memory. I remember the week of intense choreography sessions when Maurice Brandon Curry came to teach us the whole show! Maria doesn’t dance all that much, but it was still so fun to learn from Maurice and to watch the rest of the cast, many of whom would not have called themselves dancers, come together and nail these iconic dances! Christopher McCroskey was our music director and working with him was also a pleasure. This production team, along with Janet Kile as the costumer, worked together so well to create a show that was truly a joy to be a part of. I felt nothing but encouragement! For sure, the best part of West Side Story 1998 was the people. David, Christopher, and Janet are all still very dear to me and I treasure any chance I get to see them and/or work with them. Brian Childers was so talented and such an easy stage partner as Tony. It has been so great to watch him go on to have a successful career! That was when I met Shannon Scruggs, who has become a friend, a director and a colleague for whom I am very grateful! Agnes Babb and Lou Boeschen are also “Town family” that I first met in West Side Story! I have such fond (and funny) memories as stories of all the Jet and Shark guys and girls, some of whom actually came to my wedding a few months after this show closed. I’ll never forget the connection with Robby Sweet (Chino) during the last scene of the show and the tears in his eyes almost every time. When I learned that Debra Bricker Brewer would play the role of Anita, I remember feeling very intimidated. She had been a ballet teacher, known for her sharpness and demand for excellence. But she embraced me as a sister rather than a student and we had the best time playing these roles together. She killed it as Anita! We still squeal out “Querida!! !” whenever we see each other! Tom Baldwin was just as precious as Doc the first time around. And although Maria and Doc are only ever on stage together in the very last scene, Tom was always encouraging to me and kind. He only ever called me Maria after that! Who would have thought that 20 years later we would serve the same church in worship each week and be getting to reprise our roles in West Side Story 2018?! The first time he was technically too young to play Doc and this time I am technically too old to play Maria, but we’re making it work! Of course, I could never leave out Will Moreau. 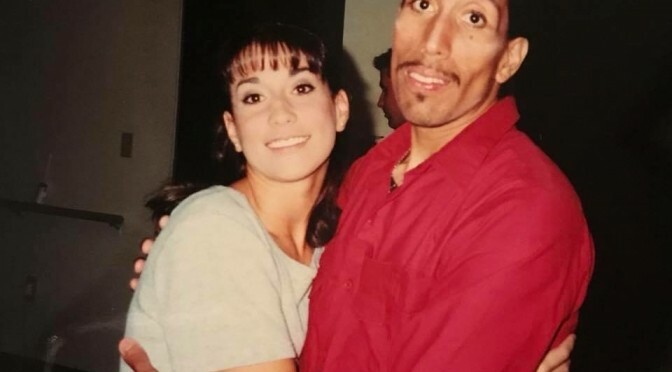 West Side Story 1998 was also his first show at Town Theatre, so we were “newbies” together. Will played the role of Bernardo, Maria’s protective older brother. He was much more experienced and mature in his craft than I was, but he quickly came alongside me and encouraged me. He saw my potential and never missed an opportunity to tell me what he thought about it. After this show, we didn’t work together in the theatre for 18 years! BUT we reconnected through the world of social media while my family was living on the mission field in Zambia, Africa. I didn’t know that much about Will and his personal passion and work in 1998. But I got to know him over the years by watching and reading about his life online! And he did the same with me. We developed a true respect and affection for one another over the years. When I came back to the States and got reconnected with my theatre family at Town, Will was one of the people I was most excited to see! Everyone loved being around Will! We would chat whenever we would see each other around the theatre. Then when the audition announcement came out for My Fair Lady we giddily talked about auditioning! He was SO excited about the possibility of playing the role of Alfred P. Doolittle, as was I about playing the dream role of Eliza Doolittle! The day that we got the call offering us the roles of Alfred and Eliza we both happened to be at the theatre. Will came running to the lobby to find me and we hugged and jumped around squealing! I will always treasure having that show together. It gave us the opportunity to spend time talking about life and faith over coffee, to play family again on stage (however dysfunctional), and to share in the comradery of a fantastic cast. Last fall, just a couple of weeks after Will had actually gone to share about Native American culture with my youngest daughter’s class, we lost him so suddenly. One of the kindest, most genuinely loving people I’ve never known. I am grateful to have called him a friend. To have played his daughter on stage, but first to have played his little sister back in 1998. Thank you West Side Story for not only being a catalyst for discussions on love, racism, bigotry and violence but also for being the place in my own life where passions and treasured relationships were born! I’m so grateful!